The Better Bundy is part of another sandwich pair in the Smith & Deli sandwich series. I opted for the deluxe model, ‘The Better Bundy’ a BLAT, rather than ‘The Piggy Bundy’ a BLT. The name is a play on Peggy Bundy from the TV series Married, With Children, and is one of many amusing TV and film references on the sandwich menu, not all of which I get. But back to the sandwich. Who would leave the avocado off when it is an option? Perhaps a purist might, but I think the avocado makes it better, hence my choice, and it it seems the Deli does too, hence the name. The sandwich comes on good white sourdough bread with a generous amount of cooked vegan bacon, lettuce, tomato and avocado as you would expect. The bread is untoasted which is not traditional. I think the bacon is from Vincent’s Vegetarian, or at least it looks like it. It is astonishingly real in taste and texture and it is found in a few of the other sandwiches too. I am used to my BLTs and BLATs with mayo and I couldn’t detect any. I added my own when I got home. I really enjoyed mine. 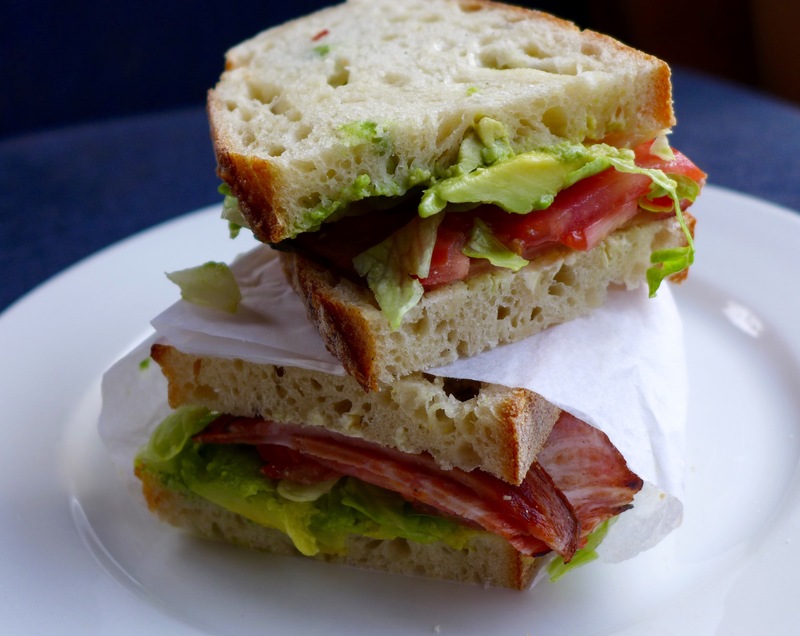 I think it is the first BLAT I’ve had in 3 years and it was really excellent. But I’ve deducted a couple of points for no mayo and no toasting of the bread. I think both are essential.